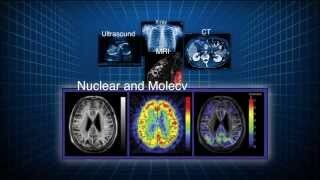 The Society of Nuclear Medicine and Molecular Imaging (SNMMI), headquartered in Reston, VA, is a nonprofit scientific and professional organization that promotes the science, technology and practical application of nuclear medicine and molecular imaging. The Society of Nuclear Medicine and Molecular Imaging (SNMMI), headquartered in Reston, Va., is a nonprofit scientific and professional organization that promotes the science, technology and practical application of nuclear medicine and molecular imaging. SNMMI strives to be a leader in unifying, advancing and optimizing molecular imaging, with an ultimate goal of improving human health. With 15,000 members worldwide, SNMMI represents nuclear and molecular imaging professionals, all of whom are committed to the advancement of the field. Council and Center status is reserved for nuclear medicine subspecialty or subdisciplinary areas of interest. Councils and Centers provide professional networking and educational programs for nuclear medicine professionals in respective areas, while simultaneously serving as a resource for development and implementation of Society policy. Councils and Centers adhere to Society Bylaws and policies, while operating under their own Operating Procedures and budget process, approved by the House of Delegates. Many Councils and Centers publish their own newsletter and provide educational programs for their members. The SNMMI Future Leaders Academy is the most recent addition to the SNMMI leadership development strategy. The SNMMI Future Leaders Academy training focuses on setting a clear plan for increasing leadership abilities by developing the necessary skills and organizational expertise to enhance performance and ultimately evolve into a leader both within the nuclear medicine and molecular imaging community and the society. The academy will also help you to gain knowledge in fundamental leadership techniques from professionally recognized leadership groups and current SNMMI leaders. The SNMMI is a volunteer, not-for-profit entity organized under section 501(c) 3 of the IRS code. SNMMI-TS is designed to meet the needs of the nuclear medicine technologist.